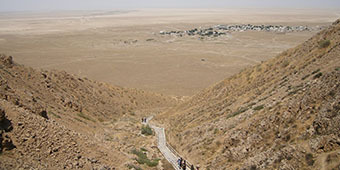 Where the Kopetdag Mountains end, they flow into the lowlands, where medieval caravans traversed on their way from the Khorezmian cities in the north to Persian lands further south. The far south offers also today another entry point into Iran, whereas in the far north it allows access into Kazakhstan. 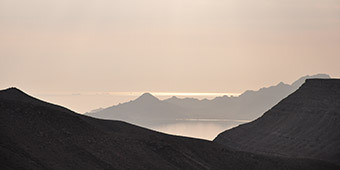 In the end, the lowlands reach the Caspian Sea, where Turkmenbashi town is located, Turkmenistan’s port that offers connection to Baku in Azerbaijan. 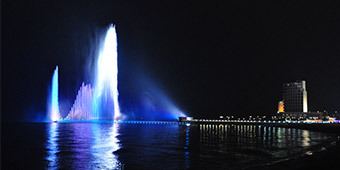 The nearby Awaza seaside area is the country’s biggest national tourist attraction and offers dozens of resorts to host both local and foreign travelers, looking for a moment of rest and a breath of fresh air. Balkanabad, the region’s capital, is located more inland, and equally often used as hub for trips into the spectacular volcanic landscapes and pre-historical coast formations, which are also dotted with local pilgrim sites, centered around graves of prominent local personalities. To fully appreciate this region, most travelers opt for using jeep travel and camp style accommodation. 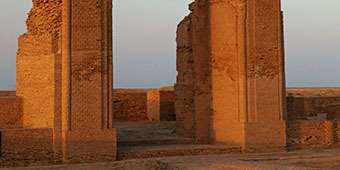 Ferava Rabat (IX-XIVth cc AD) was a Silk Road hub, located in the Kopetdag foothills, on the route from Khorasan to Dehistan, known for its intricate system of karyz (underground water pipelines). The building of most interest lies on the steep hillside to the south, accessible by a staircase of 269 steps. 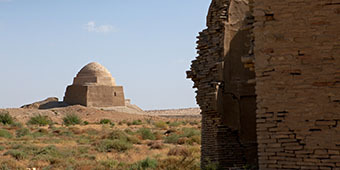 This is the Mausoleum of Parau Bibi, one of the most important centers of pilgrimage in Turkmenistan. At the base is a large complex comprising a guesthouse and communal kitchen area. Balkanabad is the regional capital of Balkan Region. The booming oil and gas industry in Balkan Region has also caused this city to develop, with various foreign companies’ subsidiary offices. 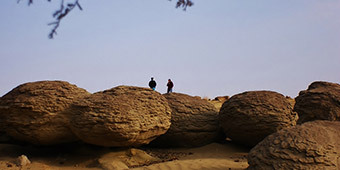 It is home to several pleasant dining places and a comfortable hotel, and makes a strategic starting place for day excursions to Dehistan (in the south) or trips into the Yangikala Canyons (in the north) or towards the Uzboy River, Ygdykala and Balishem. 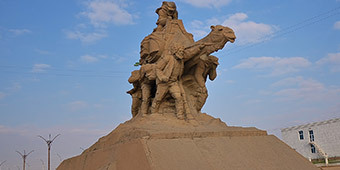 Dehistan - historically also known as Misrian - was a town located at the banks of the Etrek River, that thrived in the Silk Road period and rivaling Kunya Urgench and Merw in importance. 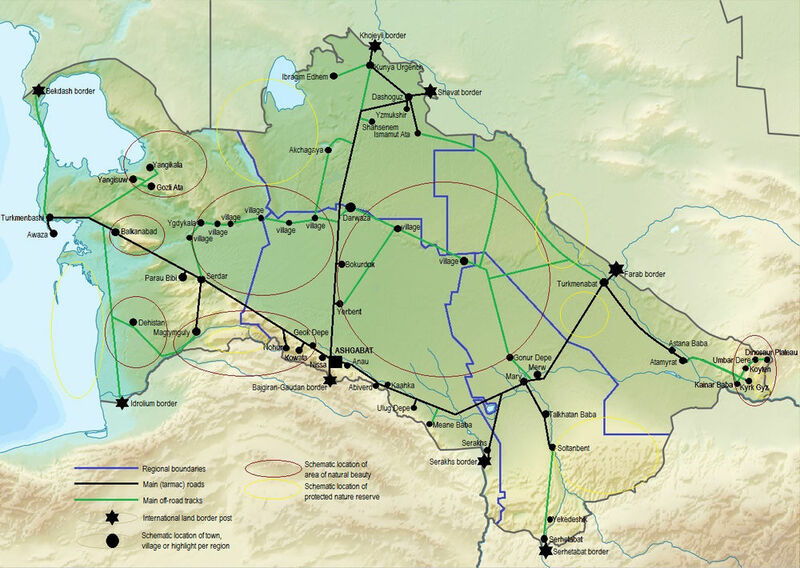 It connected Khorezm with Persia and the Arab countries. City walls and the impressive remains of two 20 m high minarets and the remains of a mosque portal of 18 m height, with the name of Khorezmshah Mohamed (1200-1220) inscribed in it, survived to date. On the territory of the cemetery located some 7 kilometers from Dehistan town itself, five mausoleums (XI-XII cc.) partly survived, as well as the pristine Shir Kabir mosque. This is the earliest (IX-X cc.) mosque among those that survived in Turkmenistan. Original fragments were preserved in the unique mihrab. 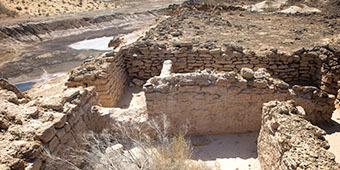 Old stone graves are found in the surrounding tribal cemetery. Like the Black Sea, it is a remnant of the Parathetys Sea, being landlocked about 5.5 million years ago due to a tectonic uplift and a fall in sea levels. It is the largest enclosed body of water on Earth. Several salt marshes can be found along the coastline, such as the Karabogaz Gulf. Numerous kinds of sturgeons (for caviar), trout, white fish and the Caspian seal call the Caspian home, and millions of birds winter at protected areas along its shores, including thousands of flamingoes and pelicans. Turkmenbashi, former Krasnovodsk, is the port of Turkmenistan. It has a remarkable geographical location with a range of low grounds and cliffs, which encircle the city. 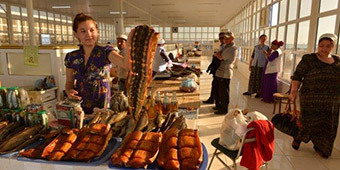 Turkmenbashi is growing and today it is one of the biggest industrial and tourist centers of Turkmenistan. There is an interesting museum in Turkmenbashi where you can get acquainted with mineral resources of Turkmenistan , fauna of the Caspian sea and Turkmenistan marine history. Awaza ist der Sammelname einer Kette von hochmodernen Hotel- und Erholungsanlagen entlang der Küste des Kaspischen Meers, die durch eine Promenade und einen künstlichen Kanal verbunden sind. Nach einer langen Fahrt durch die Wüste, durch Schluchten oder Berge, bietet ein Aufenthalt in einem der Fünf-Sterne-Hotels in Awaza den idealen Ort, um sich zu erholen. Genießen Sie ein Bad im Meer, grillen Sie am Strand, nehmen Sie einen Drink an der Poolbar oder genießen Sie eine Schönheitsbehandlung. 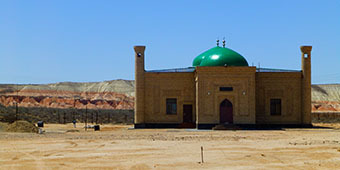 The mausoleum of Gozli Ata, located on a low platform against the backdrop of stunning pink and red limestone rock formations, is one of the holiest pilgrim sites in Turkmenistan. The mausoleum is surrounded a large Salor tribal graveyard. Gozli Ata (literally: All-seeing Father) was a famous 12th century Sufi teacher who studied in Turkestan (present-day Kazakhstan), who was said to have the capacity to see inside peoples' soul. The mausoleum is located some 25 km from the mausoleum of Gozli Ata, at the spot where a freshwater source carves out a small valley through various ancient volcanic rock formations. Kemal Ata is widely believed to be a disciple of Gozli Ata, but his mausoleum is not the main purpose of visitors to this area. The Kaitarmysh spring is a favorite drinking place for local shepherds with their cattle, and borders a larger area covered with various rock formations made of dried-up lava. 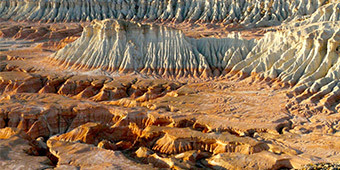 Impressive white, green and red limestone formations rise up from the desert sands. These cliffs are the remains of massive coastline and seabed of the pre-historical Parathetys Sea. This surreal landscape is impressive at any time of day, but sunset and sunrise offer particularly spectacular views. The area is reachable only by 4-wheel drive, passing through the Balkan Mountains and a vast highland area where camels, sheep and horses graze. The Uzboy was a tributary of the Amu Darya, and flowed 750 kms into the Caspian Sea, until XVII AD, when it abruptly dried up, destroying the Khorezm-Dehistan culture which thrived along its banks. A riverine civilization existed along the banks of the river from at least V c. BC, but now only a few communities of kumli inhabit the area. 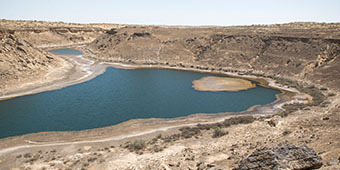 Several unique water reservoirs have been created as legacy of the river: the Yashka lake with its fresh water and the Mollagara salt lake being the best known. 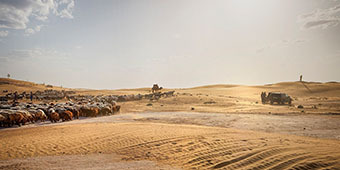 A cluster of authentic desert settlements, located in low basins in the heart of the eastern Karakum, accessible only by four-wheel drive, and requiring camp style overnight. Ygdykala shows the remains of a Parthian frontier fortress (I c. BC - IV c. AD), located on the high rocky bank of the Uzboy River. It is situated deep in the desert, at 150 km north of Serdar town. The fort functioned for the control of water trade way along Uzboy (from India to the Black Sea area). Despite the uncharacteristic building material (stone), Ygdykala repeat in all details the principles of Khorezmian construction style, and corresponds fully to the standard of Parthian forts in its layout.